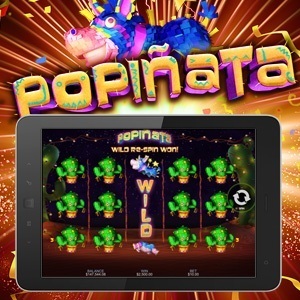 Get ready to take a swing for a whole lot of bonus prizes with our online slot game, Popiñata, from RealTime Gaming! 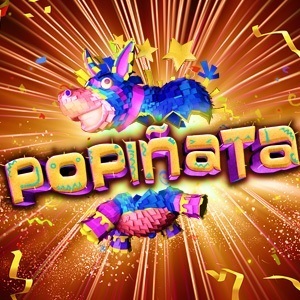 This 5 reel, 10 variable payline online slot game will bring all of your childhood birthday memories to life, as you swing and spin to break open the bonus piñata! 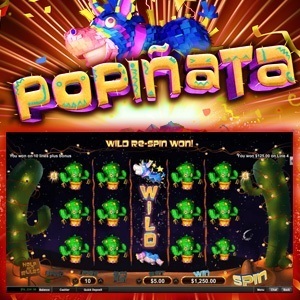 Look forward to expanding Wilds as one of this slot games’ special bonus features, keeping a close eye on the infamous Donkey symbol! Retrigger this feature time and time again, as long as you spin 1 or more Donkey Wilds during the feature. 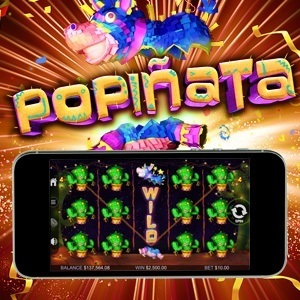 This online slot is available on Download, Instant Play and Mobile, so get ready to join the Popiñata party!